INDUSTRY.co.id -Kobe- a month ago Vissel Kobe has officially get the services of Spanish player Andres Iniesta, the player who reported the Nikkei Asia earn $ 30 million per year is expected to have a good impact for Japanese football, in addition to expected to improve the performance of this team, Iniesta is also expected able to increase sales on e-commerce which also became the main sponsor of the team that Rakuten.com at least in the near future. 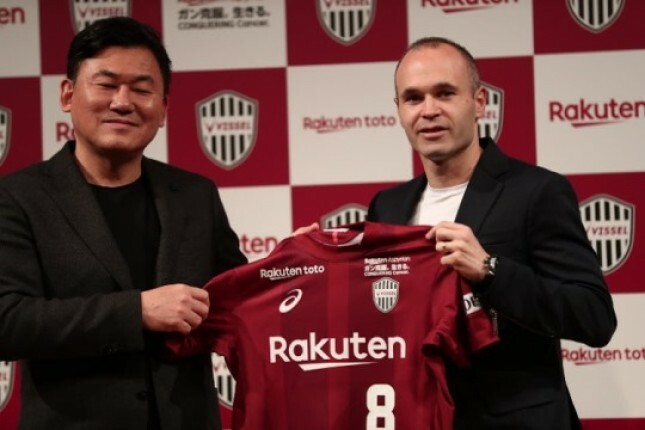 Former Barcelona player is only able to play at least in July, Iniesta presence is being viral for Japanese society, There are at least 1500 new fan club members from Vissel Kobe at a cost of 2000 yen per person in just 2 days after his arrival. And Vissel kobe has got 7.5 million yen for merchandise sales such as T-shirts, towels etc. at Iniesta's introductory event. Iniesta is also expected to increase online business and video streaming visit.